try to not fall into too many other rabbit holes! 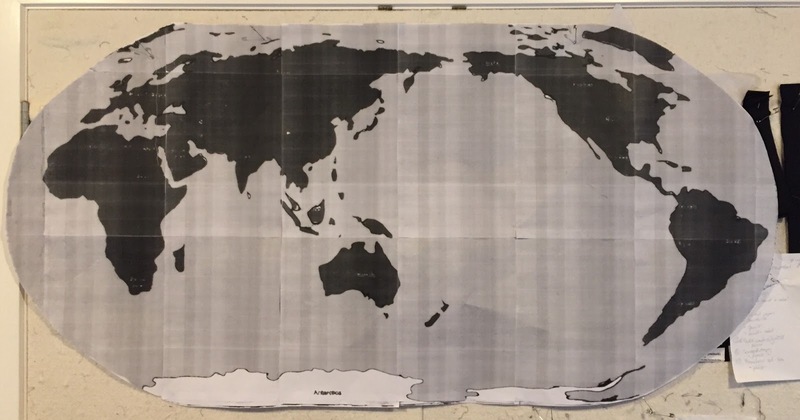 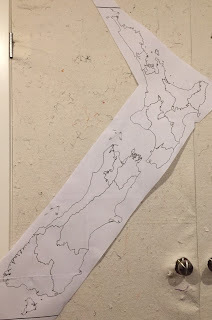 I bought her Globe pattern, but I didn't like the idea of NZ at the bottom right end of Globe 4 😮. 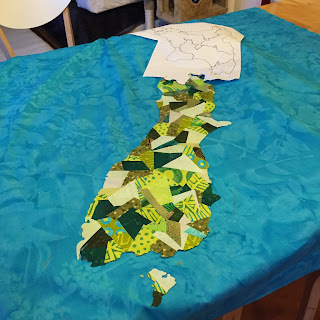 Mistyfuse-backed green shapes cover the outline; not sure I would go for the same fluffy pellon again? 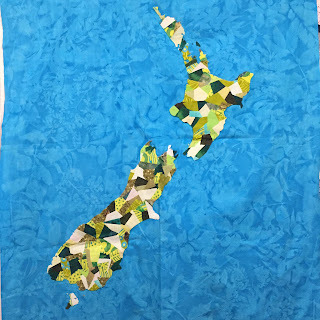 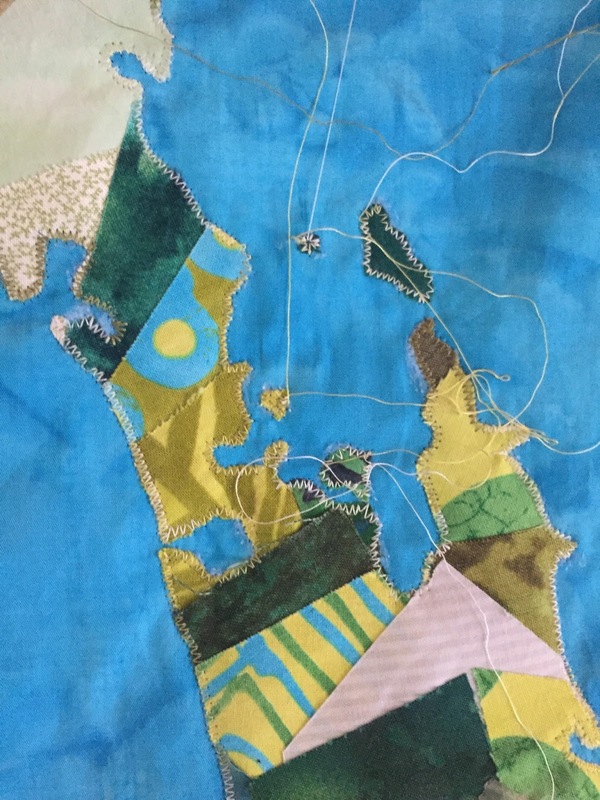 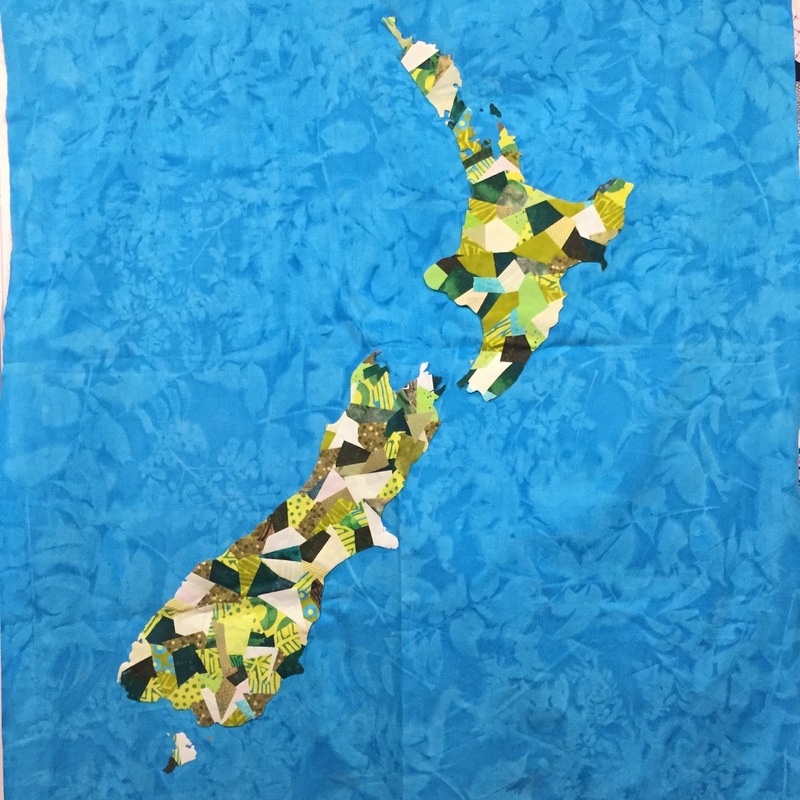 Excuse the odd colours; Te Wai Pounamu (South Island) and Rakiura (Stewart Island) are fused to the background. Zigzag in variegated green to stitch the edges down; next time I might either try invisible thread or a full satin stitch. - so I'm now fmquing the background all over, using a invisible (white) thread in the top with a grey 50wt Aurifil in the bobbin. 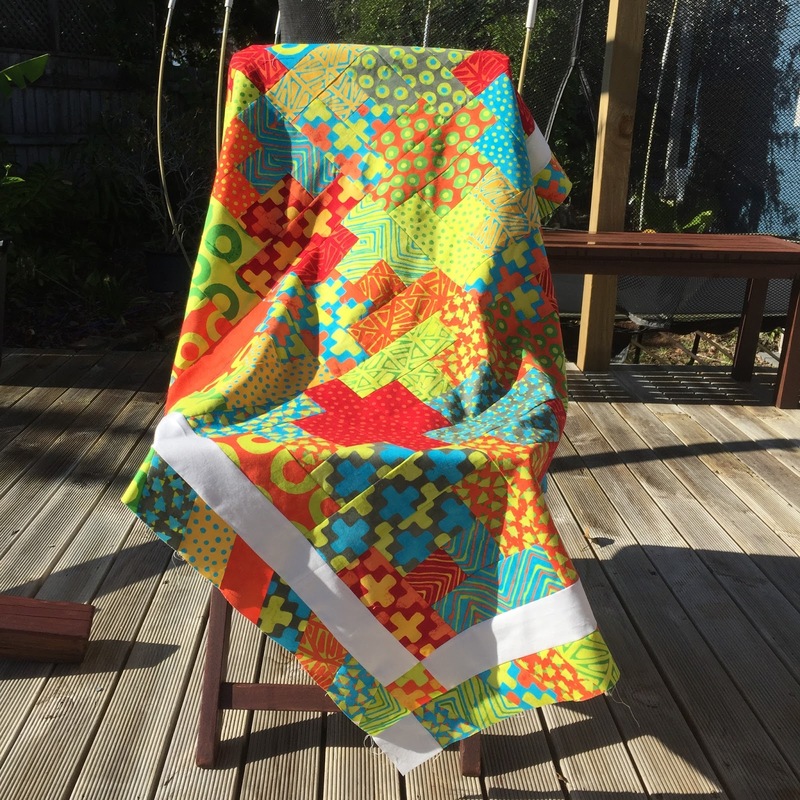 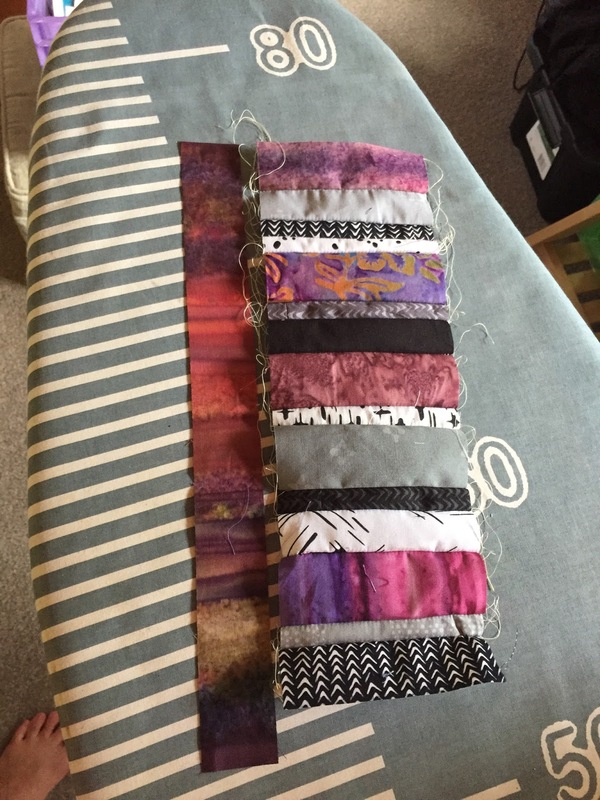 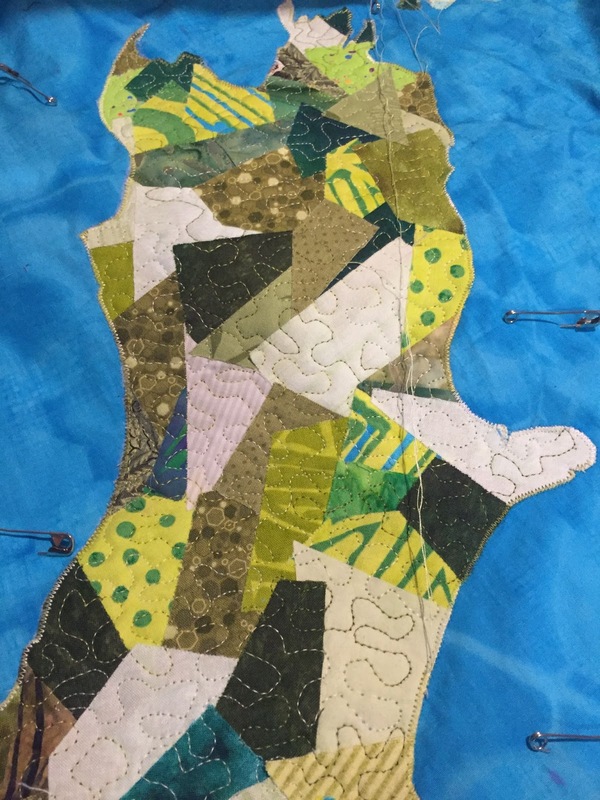 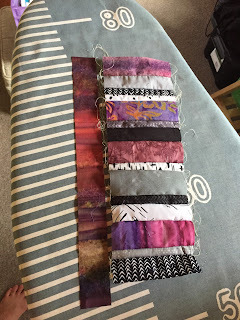 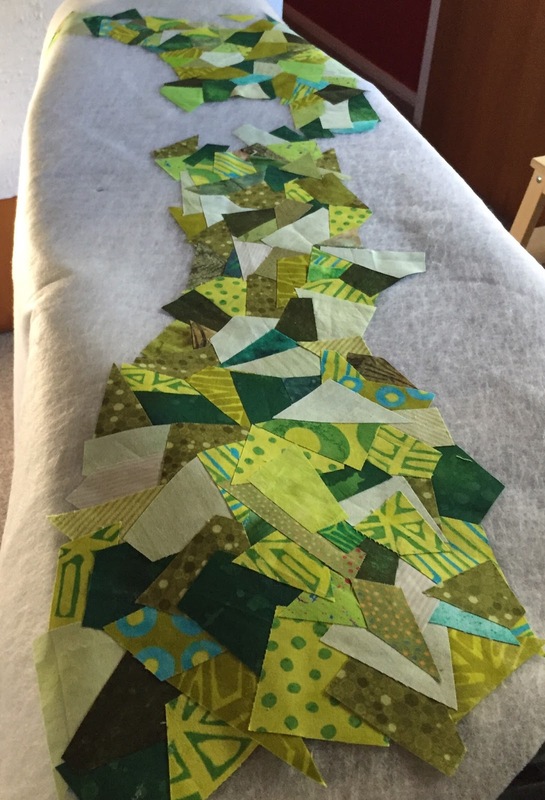 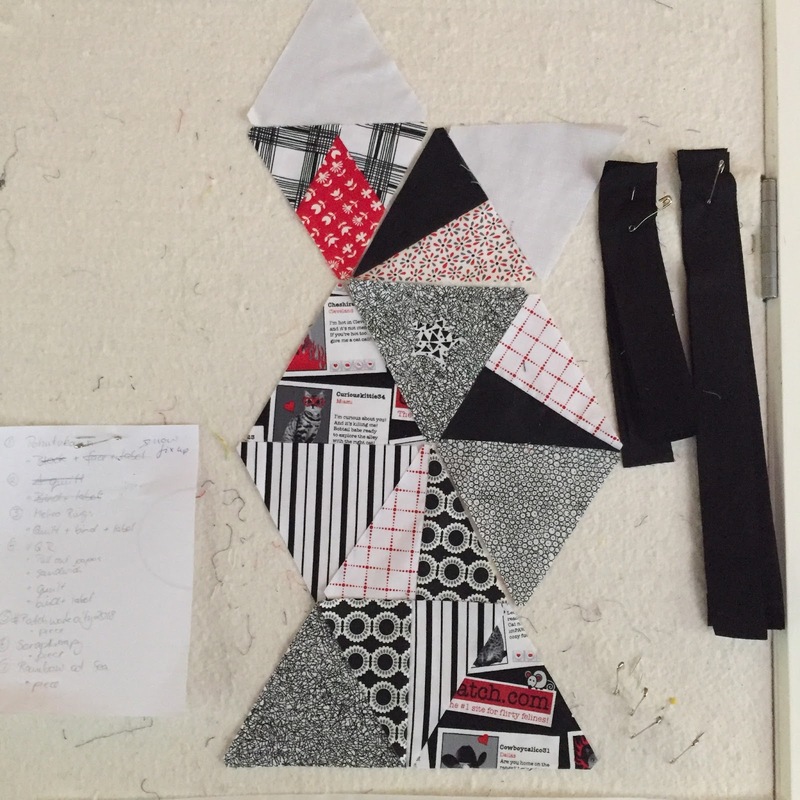 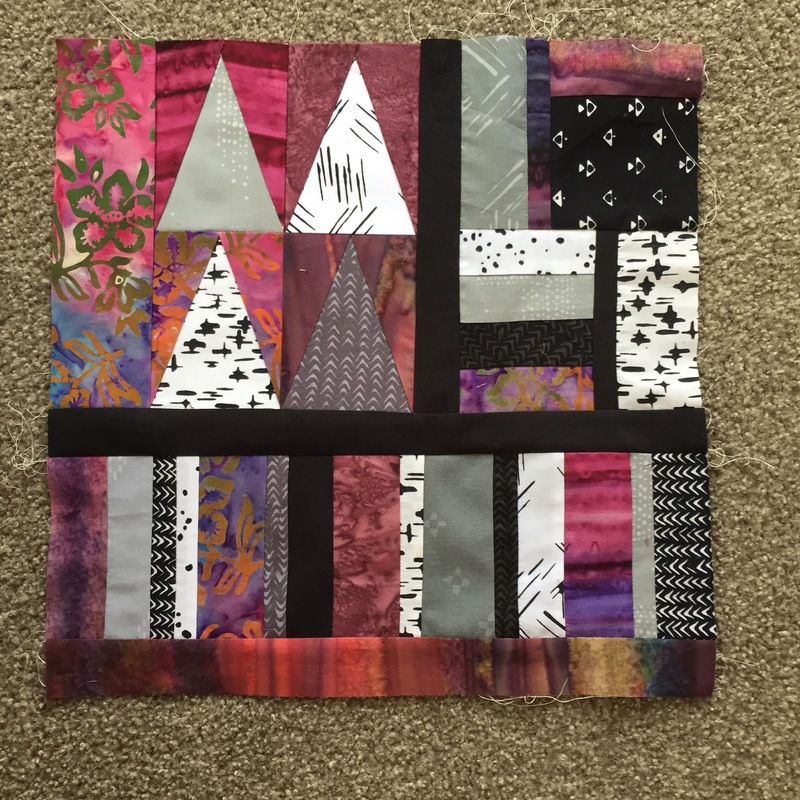 We have a completed flimsy for the #zenstudioqal! 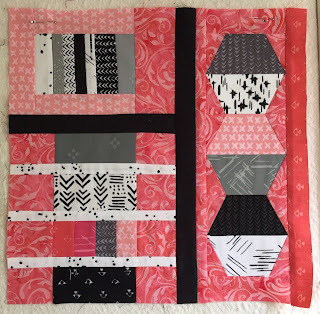 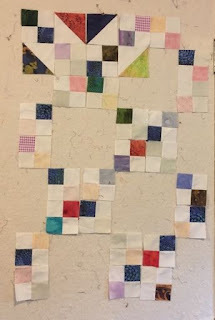 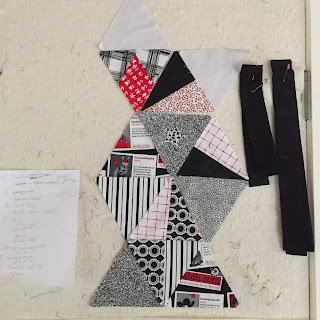 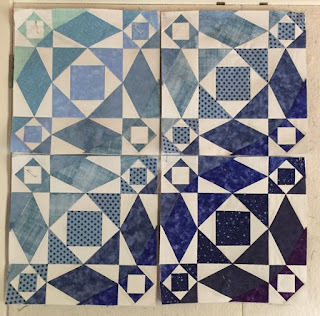 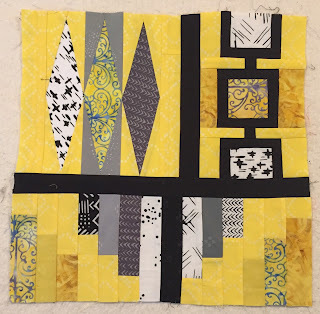 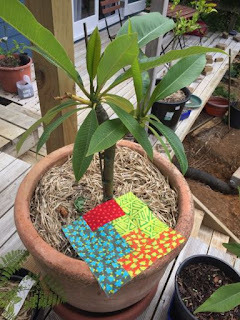 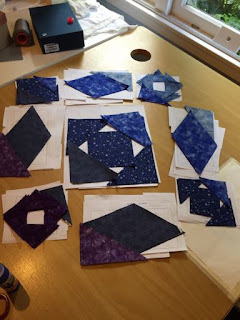 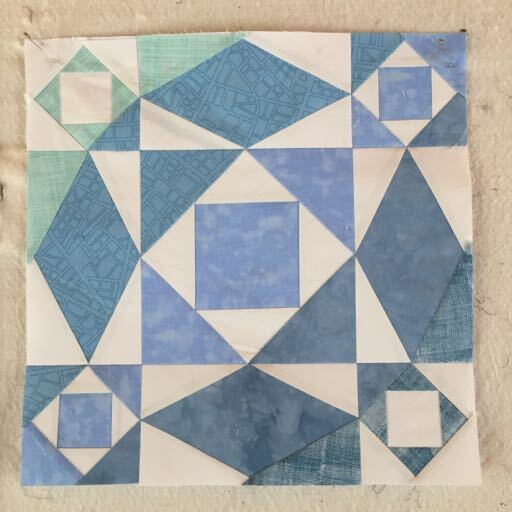 The #patchworkcity2018 QAL is also still going, I have now completed 16 blocks plus 3 bonus blocks. I'm rather excited for a parcel I'm expecting, I ordered one of Judi Madsen's 'Celebrate' panels from Honest Fabrics when there was a sale recently, after watching it being moved between various Los Angeles shipping facilities for a fortnight it has finally arrived in and departed from Auckland, so with a bit of luck it should be in my hot little hands this week. 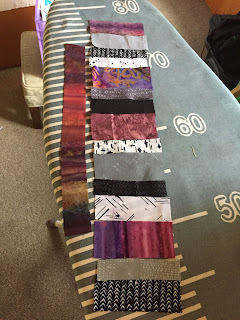 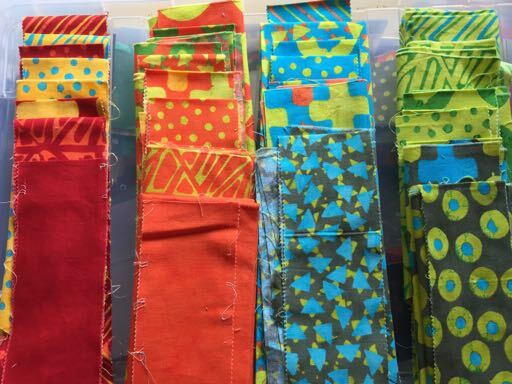 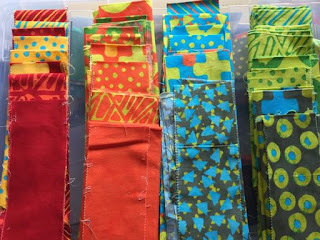 While I'm still a bit ho-hum about the 'polyester blend', I want to use it to give my quilting rulers a work out. 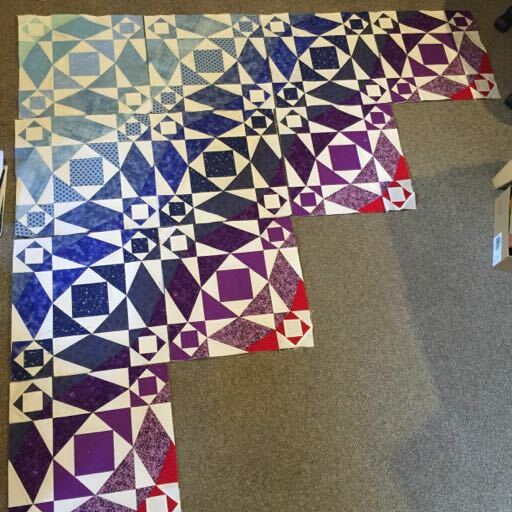 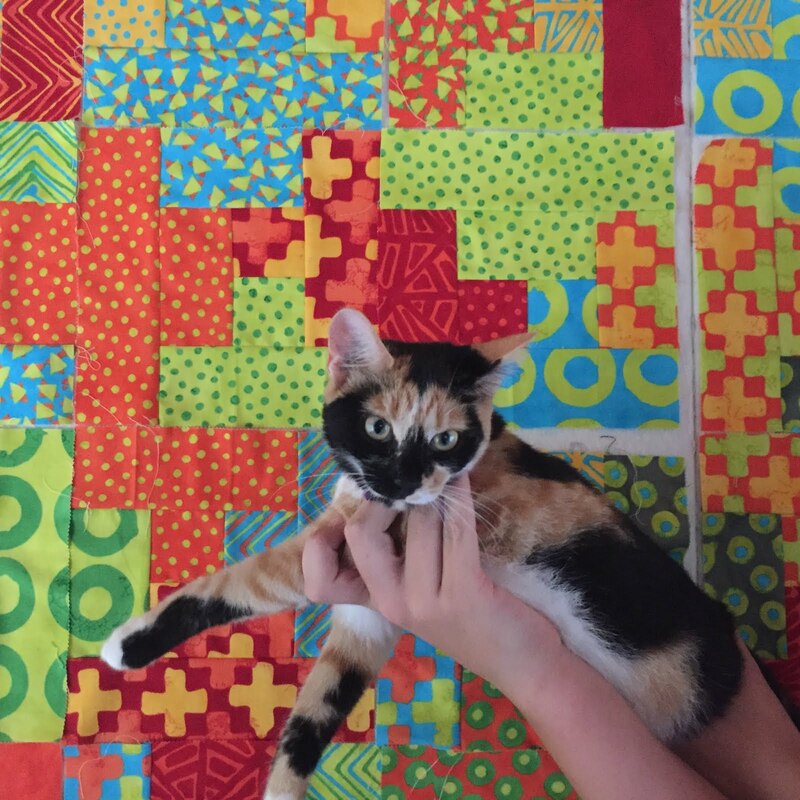 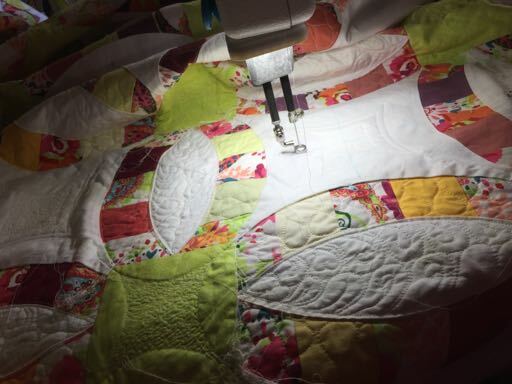 Some projects just take FOREVER, and my Metro Rings quilt is one of those projects... 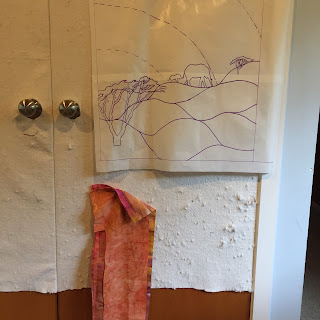 I first mentioned it in a post on 12 May 2015 while we were living in Brisbane, I have posted about it a few times and it's been languishing next to my Sweet Sixteen for months now (it's be a favourite sleeping place for our cats, some of the stains on it are from kitty cats that are no longer with us...). 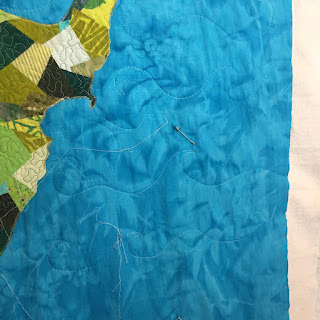 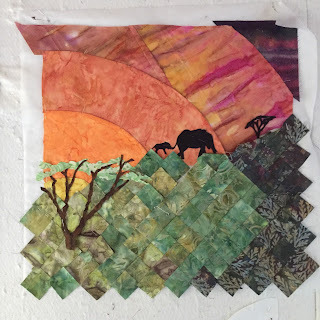 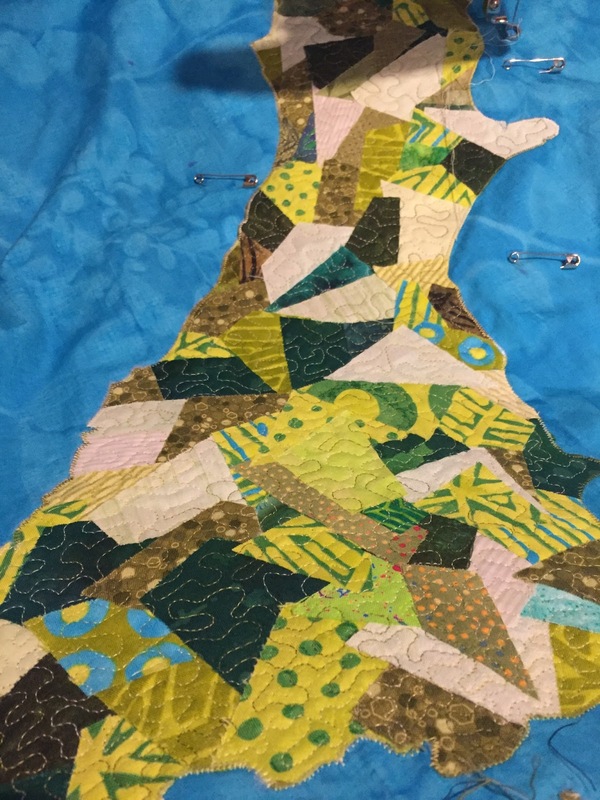 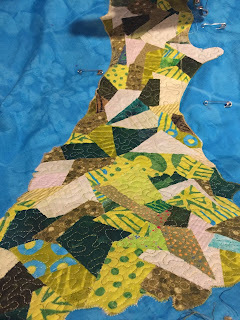 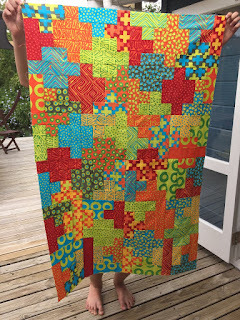 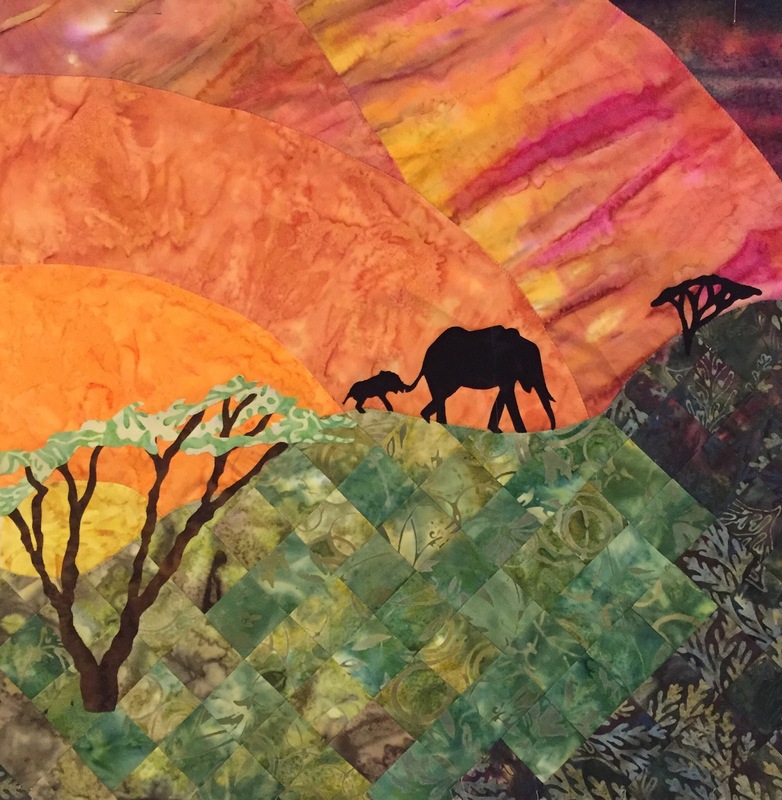 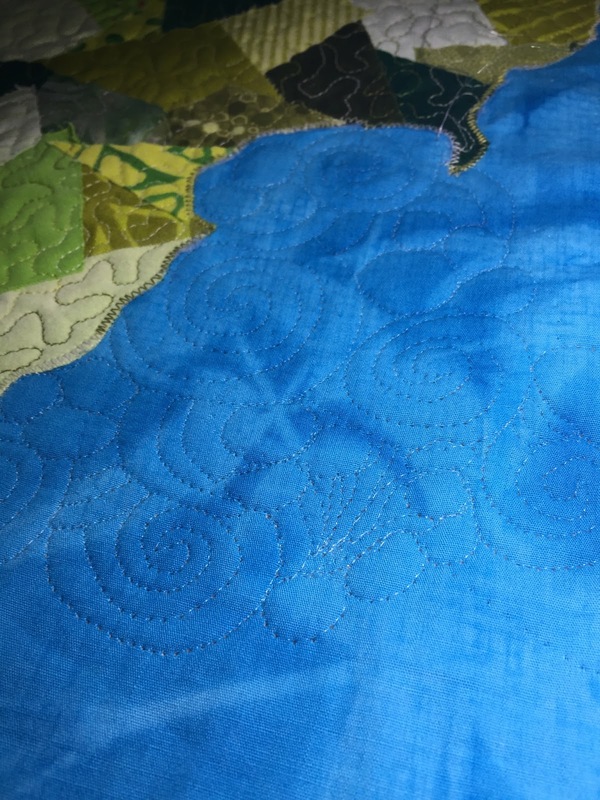 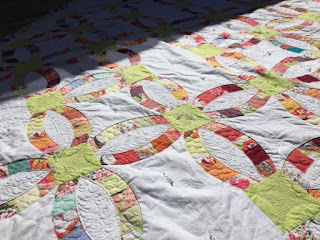 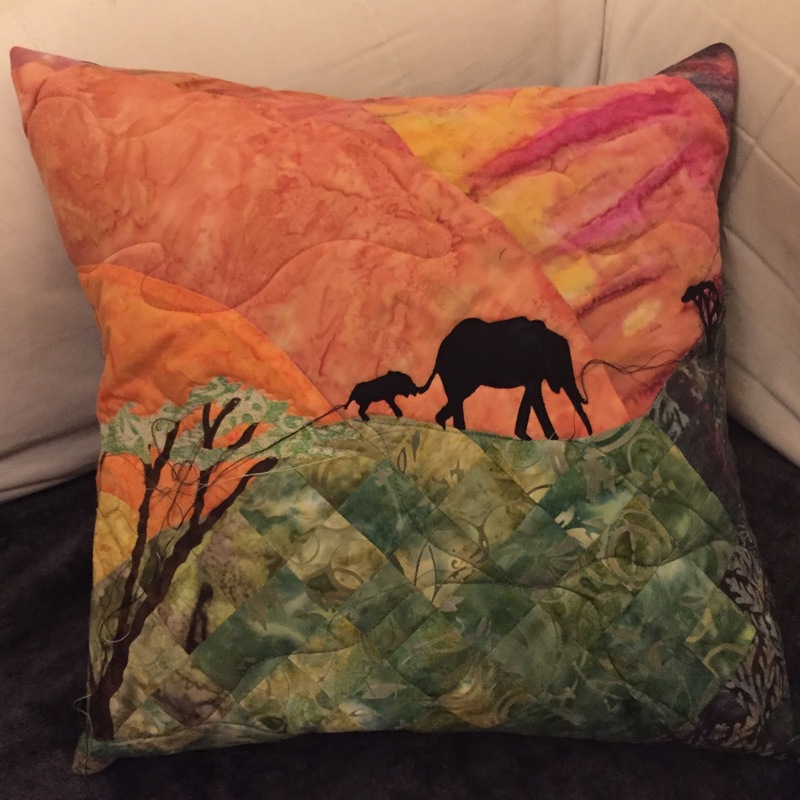 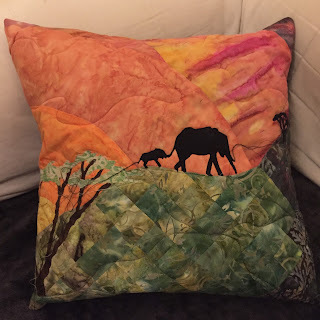 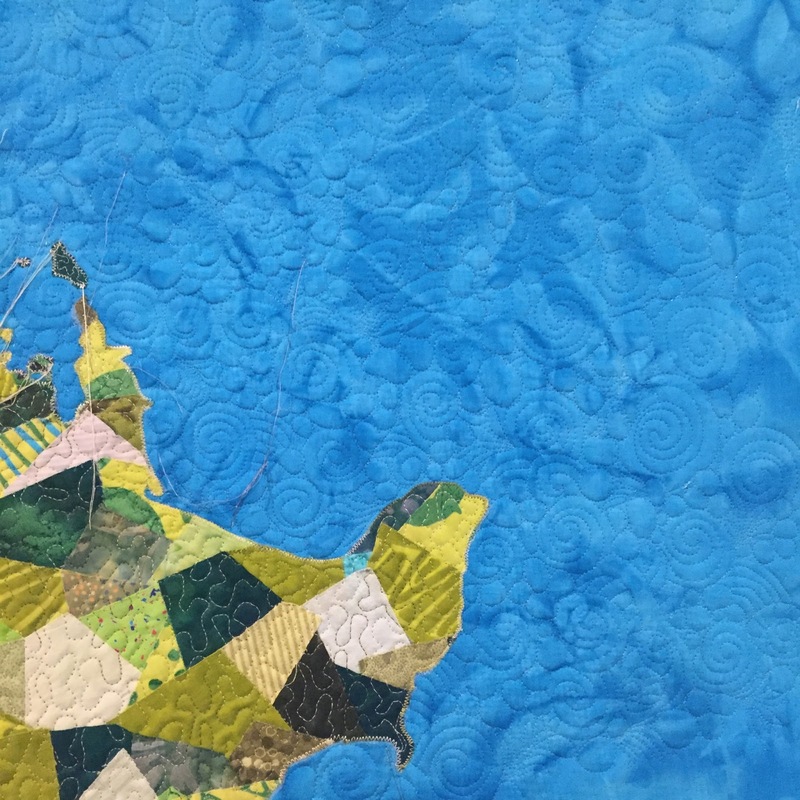 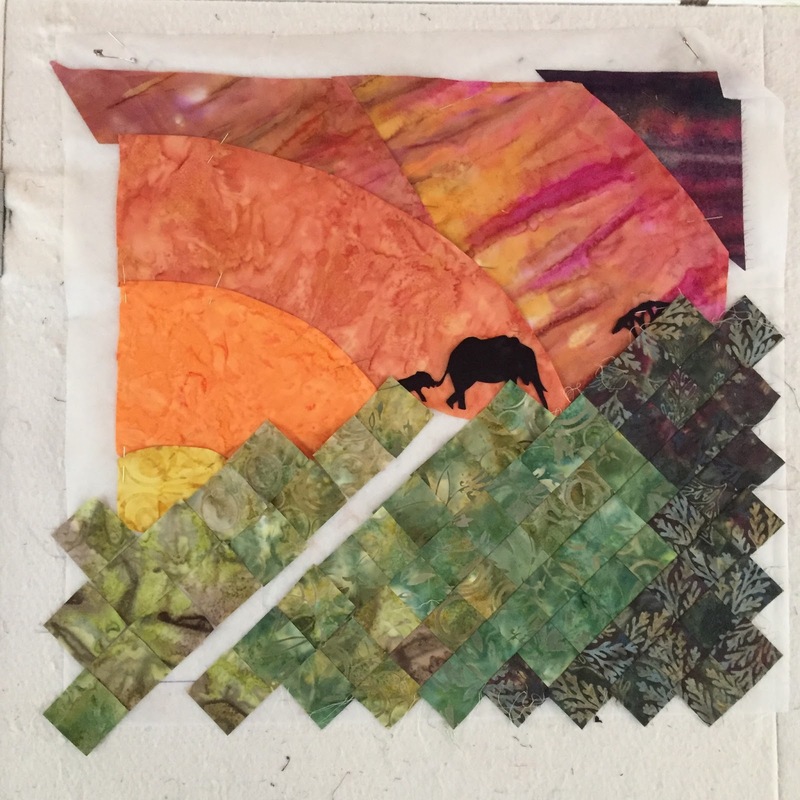 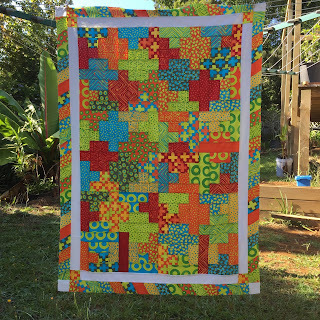 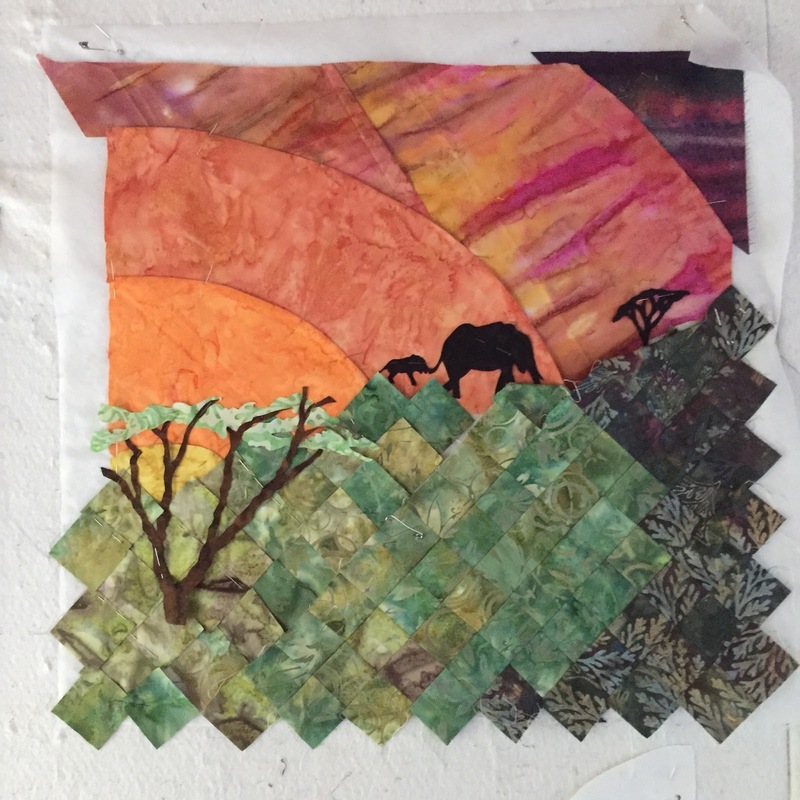 Yesterday I picked it up again and added some more quilting. After some more work on it this afternoon I decided to assess where I am at for now (that left me rather frustrated...). 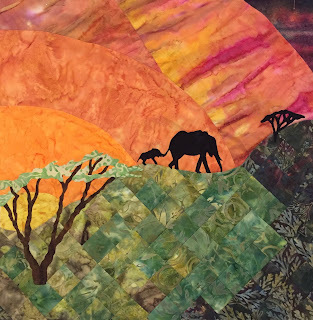 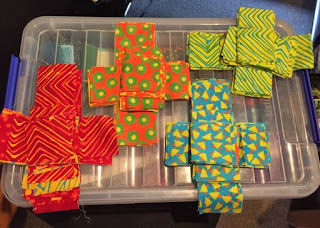 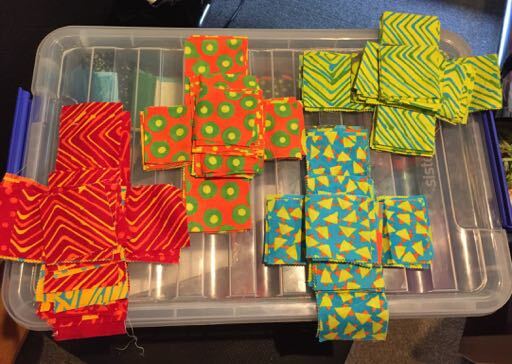 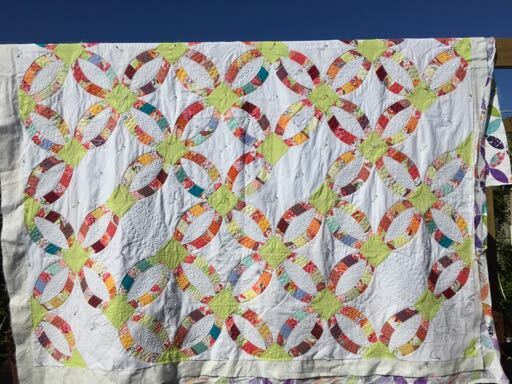 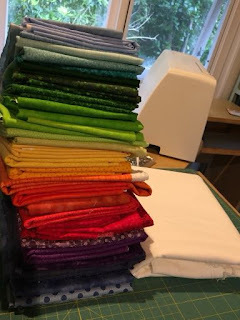 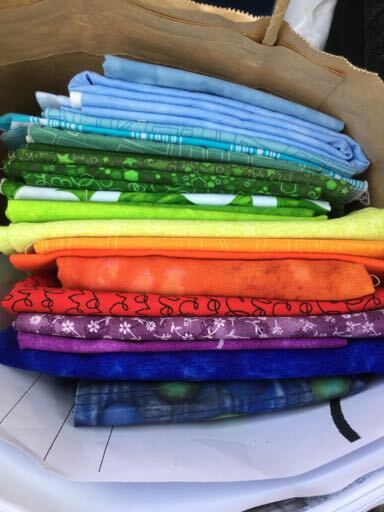 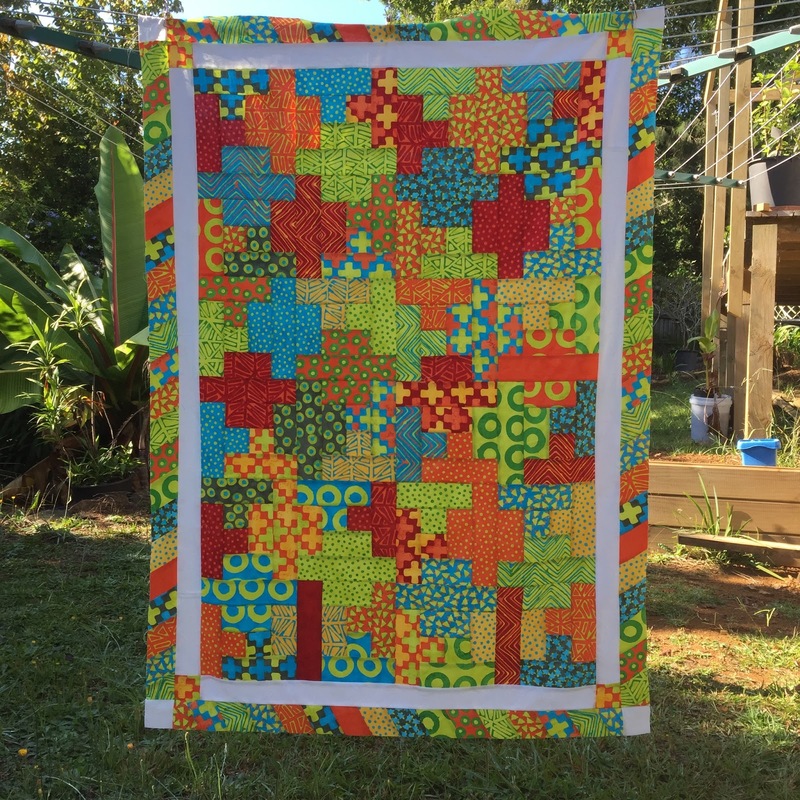 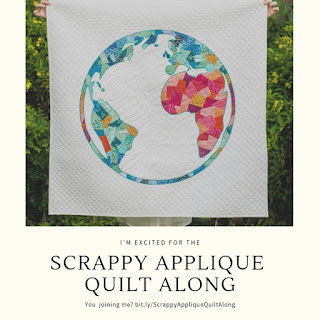 Once upon a time, when I started quilting, I had the intention of only every buying what I would need for a quilt (insert a laughing tears emoji). Suffice to say, that didn't last long, and while my stash goes through highs and lows, I also have a considerable amount of scraps. 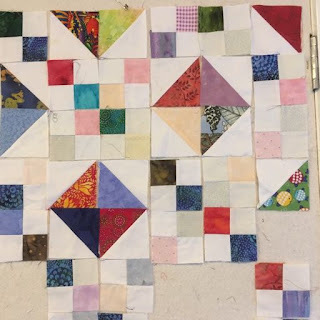 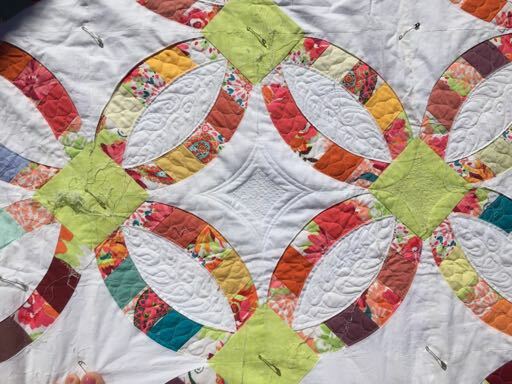 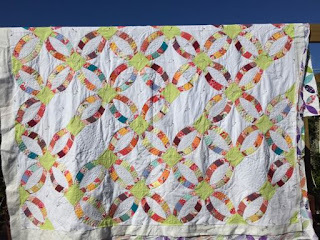 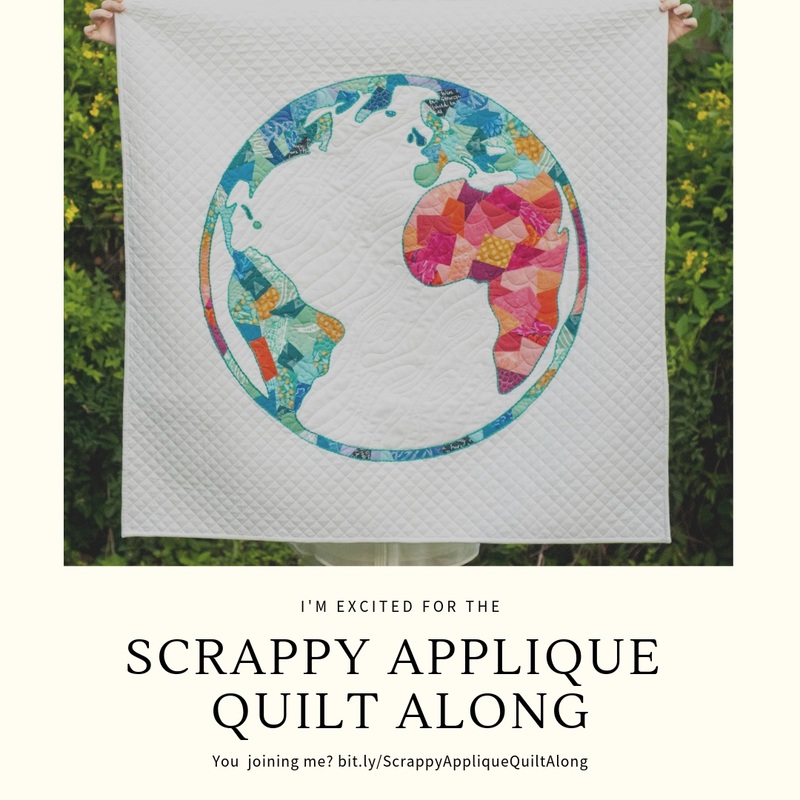 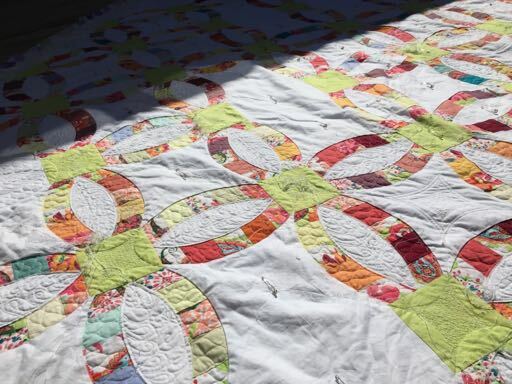 I remember seeing Charlotte aka Miss Lottie or The Slightly Mad Quilt Lady cut up her scraps into usable sizes, and last October I finally decided I would follow suit. 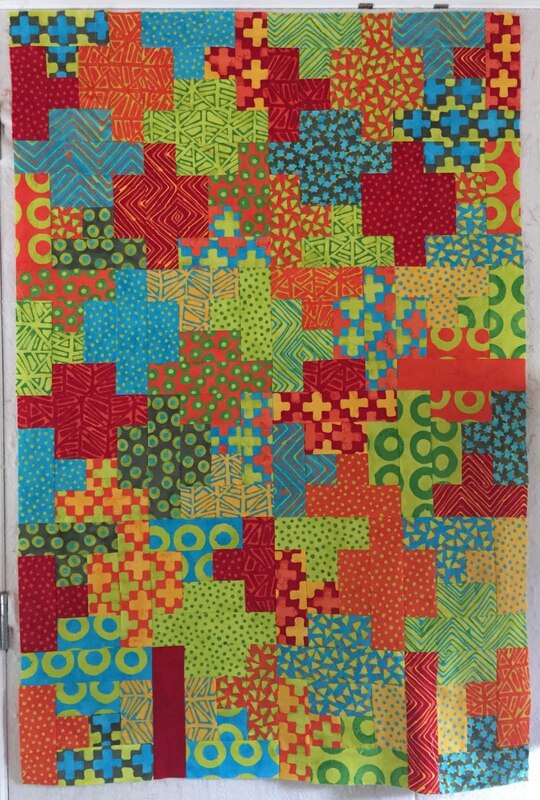 Closer up: A mix of prints, batiks, solids etc. 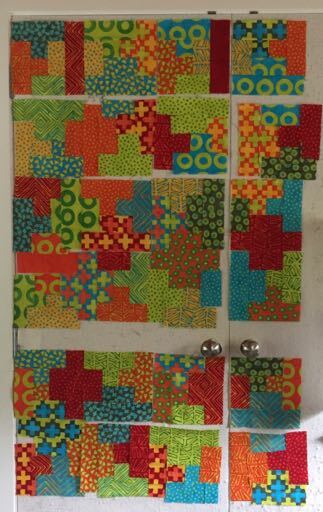 Many memories in these scraps! 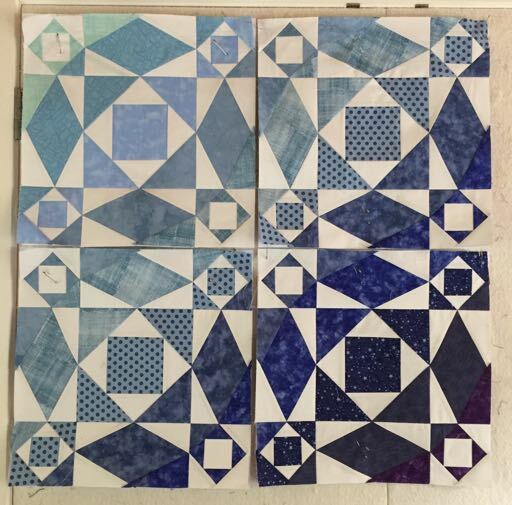 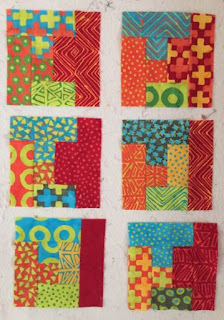 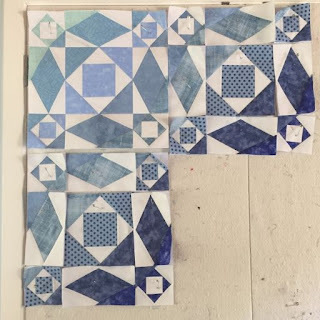 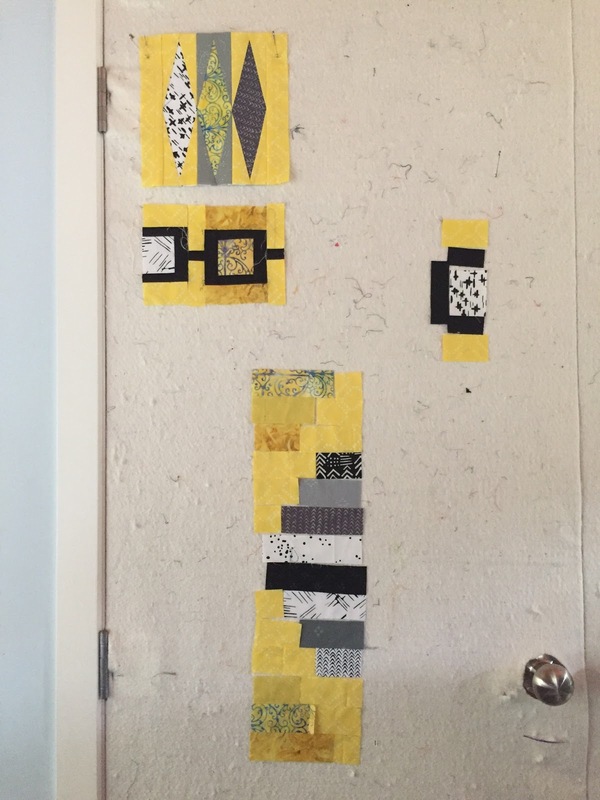 Week 2 - 6x Block A - the log cabin block is so versatile! Wouldn't these four blocks would make a cute Medallion? 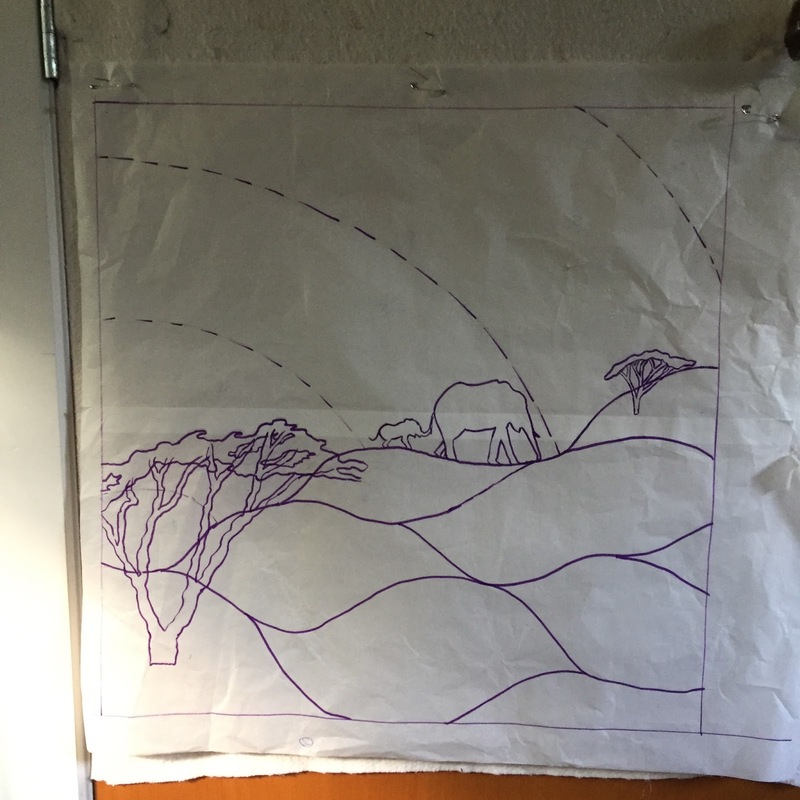 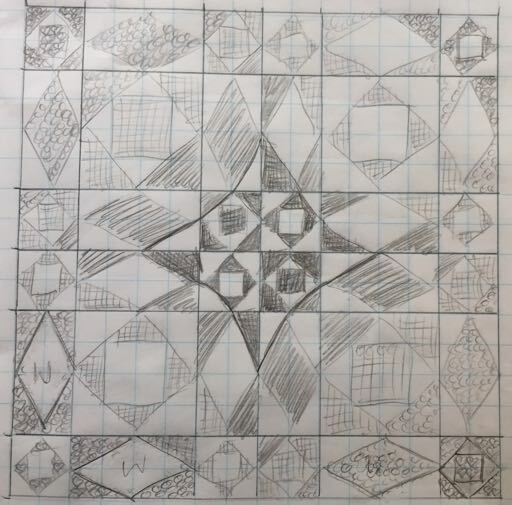 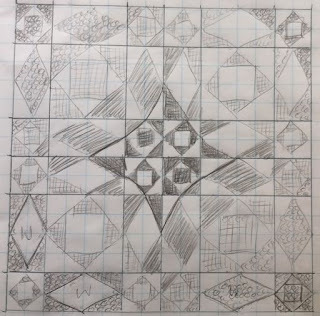 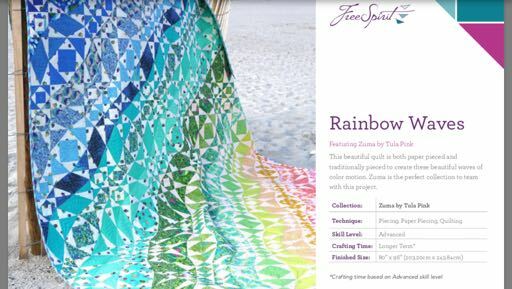 As mentioned in the captions, I drew up FPP patterns for all parts of the block (even where the Free Spirit pattern said to piece). 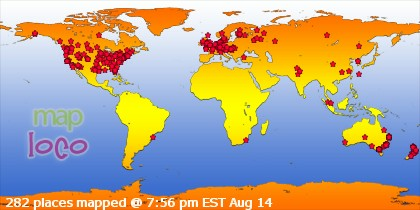 I like the accuracy you get, though sometimes matching points can still be a pain. 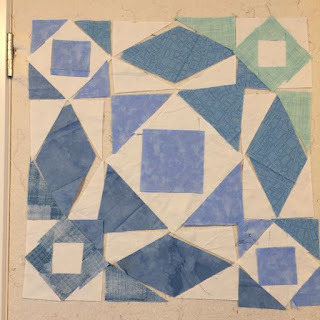 For the fourth block(s) I trialled piecing the bottom right corner but I ended up with bias edges which were a (different) pain to match. I will go back to FPP despite the amount of paper I am going through, it gives a much nicer finish.